Perfect to watch movies on laptops or Desktops will control your DVD software and PC. Now you can enjoy to control your PC media software far away the keyboard and mouse. This PC Media Center Remote Control is designed to receive the control signal by infrared IR. With this IRDA USB infrared control, you can control a wide array of CD, VCD, DVD, MP3, Microsoft Media Player, WinAMP, Internet navigation and presentation software. Bulk packaged - no retail packaging. Includes remote, IR receiver & manual. Requires 2 AAA batteries (not included). 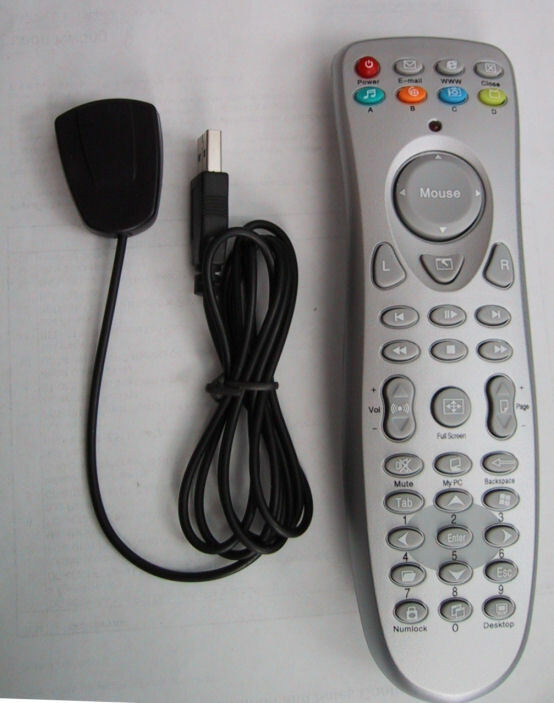 Remote Control Functions include Menu, Start, Stop, Play/Pause, Silent/Sound, Fast forward, Fast backward, Volume up/down Page up/down, Enter, ESC.